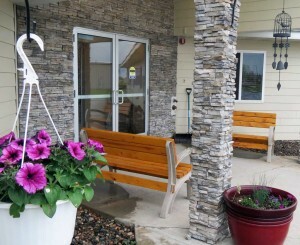 Northern Horizon Senior Living offers Roseau County seniors a wonderful option for senior living and care. Our all-on-one-floor design makes it easy for our residents to get around. Our one-bedroom units are just the right size for comfort and convenience. We offer a full range of support services, lots of activities and a common area that our seniors love. Our highly-trained staff ensures that every need of our seniors is met. Outings and social gatherings always on the schedule!